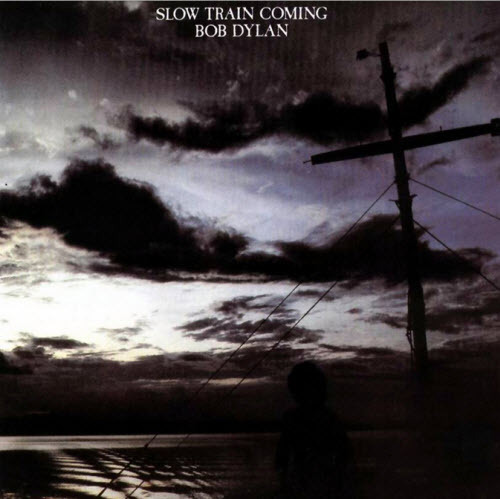 Slow Train Coming is singer-songwriter Bob Dylan’s 19th studio album, released by Columbia Records in August 1979. It was the artist’s first effort since becoming a born-again Christian, and all of the songs either express his strong personal faith, or stress the importance of Christian teachings and philosophy. The evangelical nature of the record alienated many of Dylan’s existing fans; at the same time, many Christians were drawn into his fan base. Slow Train Coming was listed at #16 in the 2001 book CCM Presents: The 100 Greatest Albums in Christian Music. 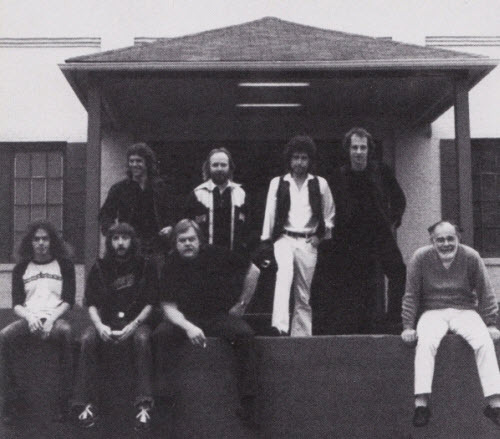 Nearly two weeks later, on November 1, Dylan began a lengthy residency at the Fox Warfield Theater in San Francisco, California, playing a total of fourteen dates supported by a large ensemble. It was the beginning of six months of touring North America, performing his new music to believers and his heckling fans alike. Despite the mixed reactions to Dylan’s new direction, “Gotta Serve Somebody” was a U.S. Top 30 hit, and the album outsold both Blood on the Tracks and Blonde on Blonde in its first year of release, despite missing the top of the charts. It even managed to place at #38 on The Village Voice’s Pazz & Jop Critics Poll for 1979, proving he had some critical support if not universal acclaim. Loved this album. He was basically happy when singing this, with powerful songs to sing. My favorite album. He conveys so much through his voice. Such a talent. That band on Saturday night live really cooks! ‘When ya gonna wake up’ great, one of his best ever TV performances. Still did a killer ‘ change my way of thinking’ a few years back and ‘precious angel’ one of his most beautiful songs ever. Clinton Heylin gets it wrong now & then. One of my favorite Dylan albums ever. I normally bow to Clinton Heylin’s knowledge about all things Dylan, but that quote at the head of the article about Dylan donating those songs to Carolyn Dennis sounds preposterous! Anyone know where he found that information? If it is true, then why was Bob performing “Do Right to Me Baby” towards the end of the Alimony Tour? I’m recording a new CD at Muscle Shoals Sound with Spooner Oldham, David Hood, and other Muscle Shoals music legends. You can fell the spirit of Bob, Jerry Wexler, and Barry Beckett in that room. Awesome post about an awesome and I believe inspired production. When people ask how I came to know Jesus Christ, I tell them I met Him through Bob Dylan. I love to hear this! The stuff on Slow train is timeless, like The Word. Solid stuff! Still keeps me going. Unfortunately I’d missed your reply until now. How great is to “meet” someone who had such a similar experience. The phrase “The Lord works in mysterious ways” may not be scriptural, and while it’s not mysterious to Him, it is so neat that He knew just how to speak to us and get our attention. I’m eternally grateful for Dylan’s work and his availability to be “used”. Slow Train Coming just blew me away when it came out – my all time favorite album by anybody. 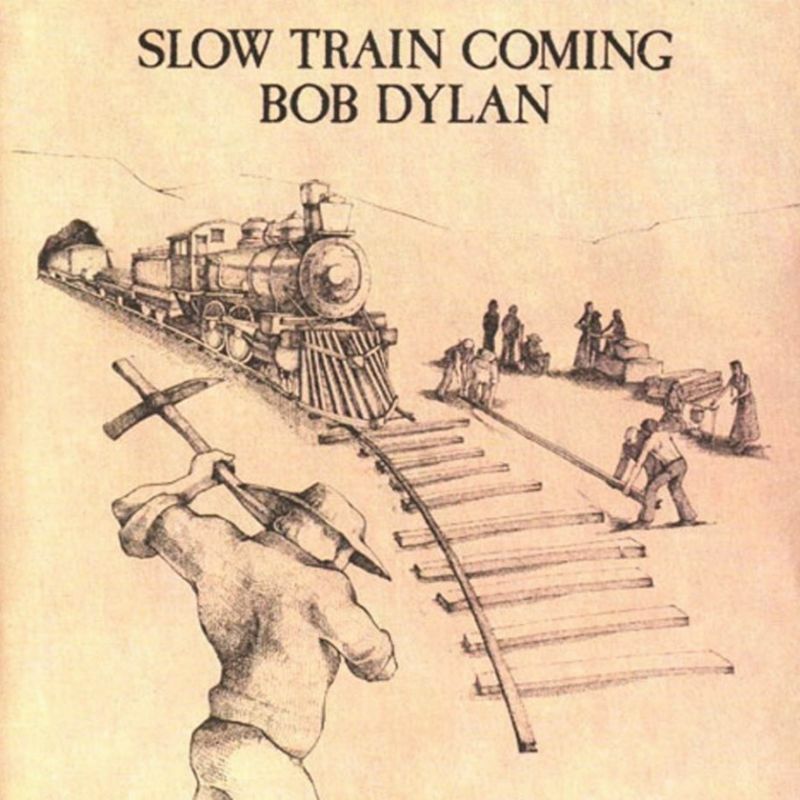 To me “Slow train coming” forms a turning point in his life and the centre point of his career. All his work can be classified as either pre- or post- Slow train. I would like to suggest Slow train as one of his best, if not his best! Congratulations on a stupendous presentation: the pics; graphics; videos; text; and quotations pack a formidable punch. Never ran across that June ’81 Dylan quote from Sandra Jones. Intriguing. I got my basic foundations of faith when I got saved in 1980 from Slow train. I became a huge Dylan fan as a result. I also LOVE ‘This dream of you’ from TTL. I believe the old fox is still a BA believer who needs to come out of the ‘closet’ again. A raw gospel finale would be great! Has Dylan played the title song ( Slow train coming ) live, and if so, do you happen to have a video of same ? That would be a feast to watch ! He played it many times during the 79-81 shows.. and a couple of times in 1987. A live version is on ‘Dylan & The Dead’ a ‘misunderestimated’ (G.W. Bush) album from 1987. Such a great LP – In fact, I believe this to be the very best gospel album ever made. from the great Toronto shows, etc…. Love your ideas for future releases. There’s no question in my mind that they would sell. Some of us have been waiting, if not at the altar, then at the record store counter (virtual or real) for such recordings for a long time. The only “live” rock concert I have attended was one of Bob Dylan’s performances at Portland, Oregon’s downtown Paramount Theatre. The concert was exclusively Gospel-oriented. The Dylan concert was on a Wednesday evening, 16 Jan. 1980, rescheduled from an opening date the previous week. Someone on the theater staff told me that I couldn’t bring my camera inside; I forget if I left it at the car or at a front desk. We sat down about six rows from the back of the main floor. There was no opening act for the 8:00 event. At about 8:50 p.m. an announcement was made that “we just got here — sorry for the delay.” The concert started a little over an hour late. I don’t think that I was aware, at the time, that Dylan had been heckled and booed during his Gospel tours, people had walked out on him, etc. (Did that sort of response mostly come later in his Gospel tours?) Here, though, there were two encores. He introduced his band for the first one. He led the audience in the chorus of a song about God’s “might and glory.” He asked, “Do you believe it? … You better believe it.” I wouldn’t be surprised if Portland-area young Christians had made a point of attending the concert and showing their support for the born-again singer and his message, especially given the hostility he’d encountered elsewhere (right? it had occurred by then?). My notes state that he played harmonica for one number and played piano for the second encore, “Pressin’ On.” Most, but maybe not all, of the unreleased Dylan songs appeared on the Saved album. I’ve seen him live from 1974 to 2013 and I have to say he was really at his peak performance in 1979. Nothing will ever touch those shows . . . and ALL new material too! I left the theatre the happiest kid in the world having seen those shows. Yes, gimme an “amen” for a bootleg series gospel release!